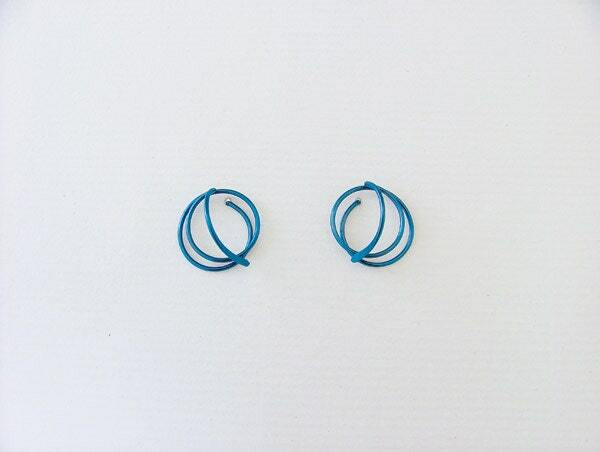 These classic but funky stud earrings will be great for any occasion. They measure about 1cm by 1.5cm. They will suit a young person on a job interview or an older person going out for dinner, and everyone in between! This design will never be out of style. 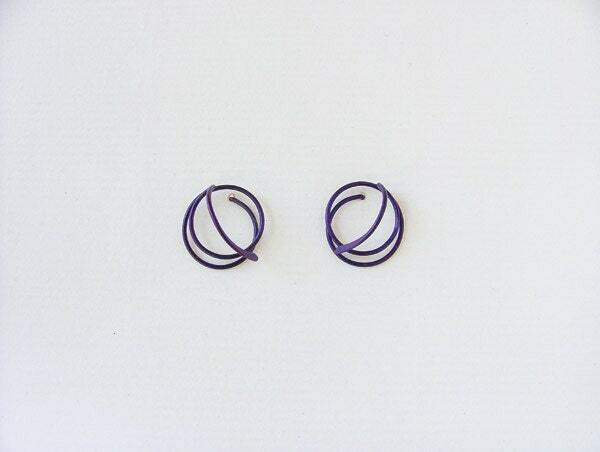 In niobium you may order these in single colors, or as a blend - see other designs in this section. I also have other colors in the niobium I was unable to show the color of - dark blue, light blue, royal blue, brassy gold, copper, and pink. I can also usually get a lime green color. In the photos shown here are: turquoise, purple, deep purple and natural. Niobium is a pure metal and is safe for those with allergies. 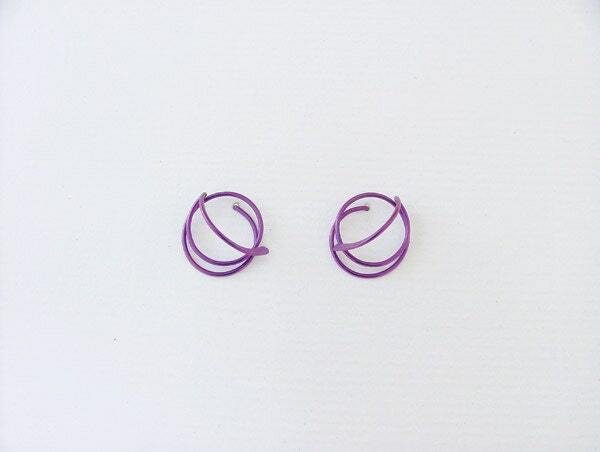 As post earrings the color of the niobium looks good against the skin. 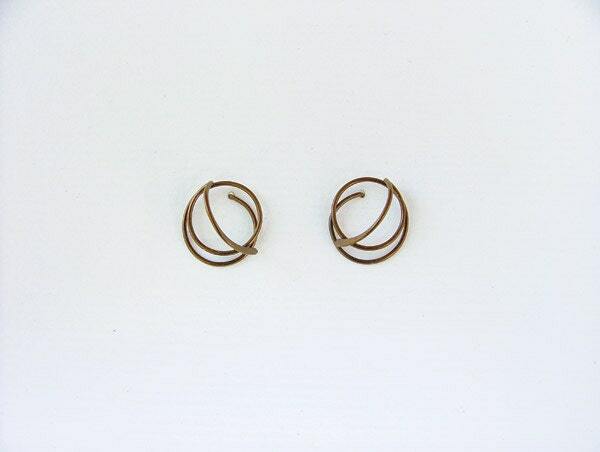 This design is part of my stud earring collection. Any design of mine may be ordered in niobium.